Once reading devices added color to their abilities, illustrated children's e-books have became a reality. And the niche is exploding! Unfortunately, the quality of the picture e-books can be hit and miss. As a children's book author, a free-lance editor, an experienced advertising marketer, and a mother, Valerie Harmon decided she'd highlight the best children's picture e-books and do her part to lift the quality within the niche. If you have a children's picture e-book for her review, please read and follow her guidelines below. 1. Harmon will ONLY review fully-illustrated children's picture e-books. PLEASE do not ask her to review books from any other genre. 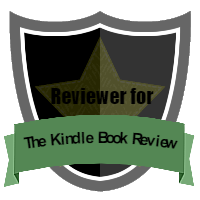 If you are looking for reviews in a different genre, check out The Kindle Book Review or The Indie View. B. Attach your book to the email in .mobi or .pdf format (PDF is preferred). C. Within the email make a formal review request by asking Harmon to review the children's picture e-book and add a list of links to the website, GoodReads book and author/illustrator pages, Amazon book and author/illustrator pages, and Facebook page (for your book/author, not personal). Add a one paragraph biography about the author and illustrator. D. Submit it to valjeanh [at] gmail [dot]com, and then wait. Depending on Harmon's backlog, it may take several weeks (or more--she does this on the side of a very busy life. For free). A. She is under no obligation to review your book. B. She reviews it for free. In exchange for the book, she gives a fair and honest review, and will not be paid for it. 5 Stars – The best book she's read in a long time. 4 Stars – A great read, but not the best she's read in a long time. (storyline issues, distracting typos, average illustrations). 2 stars and under – SHE DOES NOT WRITE REVIEWS UNDER 3 STARS. D. Harmon might review the book on her blog (if it's 4 or 5 stars). She reviews 3 stars and up on Amazon (for The Kindle Book Review). She often links her blog reviews to The Indie View. She also reviews for The Reader's Favorite. F. If your book is about farting or burping, Harmon is not interested in reading it or reviewing it. Harmon also reserves the right to not review your book if she doesn't feel it is a good fit for her. Remember, reviewing and rating is subjective. WANT TO REVIEW CHILDREN'S BOOKS TOO? If you would like to review children's picture e-books too, then email Valerie Harmon with your name, writing experience and examples, if available, along with the reasons why you think you'd be good at reviewing, and what device you use for e-books. LOOKING FOR AN EDITOR? Harmon is an experienced free-lance editor. She's edited many books, both children's and adult, and she loves it! She charges $25/hour or by the book, depending on which you prefer. She does NOT edit Adult-rated/explicit books, please do not request an exception to this. Contact Ms. Harmon at valjeanh [at] gmail [dot] com. No spam please! I saw your website. It looks really nice, except I couldn't find your email address anywhere. Oh well.. this way works, right? I have a request about a review. My wife and I have been putting hundreds of hours into drawing a children’s book. It’s not an ordinary story, but a search book. Have you heard of “Where is Waldo?” Ours is a similar concept, but it’s more focused on kids and on strengthening the family, with pages about a birthday party, petting zoo, swimming pool, playground, etc. The title of the book is, “Find the Cutes.” Now that the book is done and that my wife and I are investing in printing, we need some help. On March 1st, we will launch a project on kickstarter.com. You may have heard of it. It’s a crowd funding website. To get our name out there and achieve our goal, we would love for you to review our book and post something on your Facebook page, your blog, and/or any other places where people could see it... whichever you want of course. I know you only accept reviews in specific months, but can we send you a PDF version of the book in the beginning of March? That and some more fun images you can use and a link to the kickstarter project? You can select whatever fits your page or blog best. That way, you would have another appealing story, and it could help us get sponsors on kickstarter. (Our website iswww.findthecutes.com). Let me just say “thank you” ahead of time if you are willing to do that for us. So the question is: how do I get my hardback illustrated children's book, Stinky and the Night Mare, into a picture e-book format? It's currently on Amazon, Barnes and Noble, Books A Million, Powell's -- and in a growing number of indy bookstores (albeit a small number) in NC. While I have a PDF format, I don't have an e-book format. I have an illustrator who handles that part of book making, but I have read the free book published by Amazon that explains how to put your book into .mobi format. Here is the link: http://amzn.to/1Ezrnb9 Thanks to your question, I think I will create a blog post to help other authors with the same question.